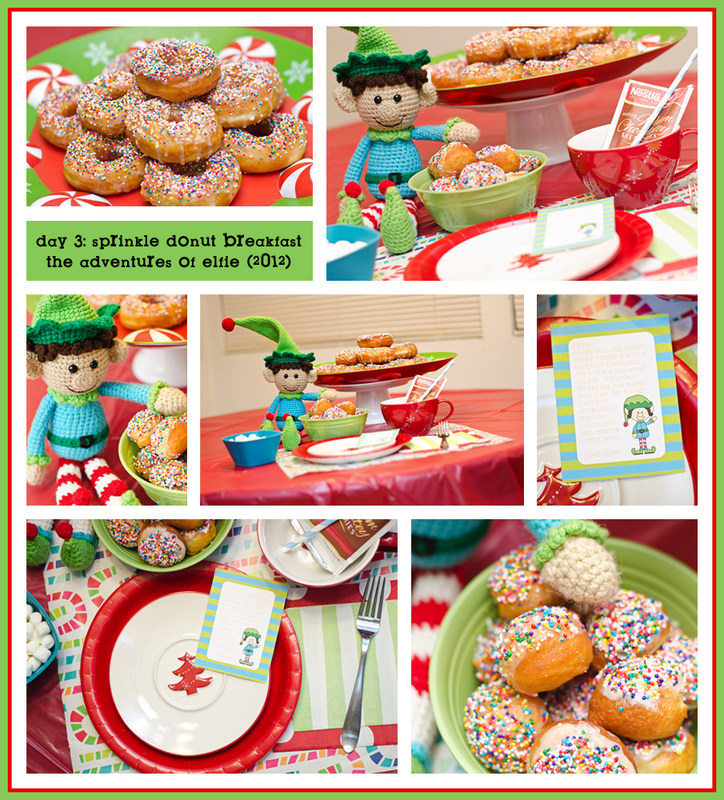 On day 3, Elfie made Riley a plate of sprinkle donuts, and donut holes. Next time Elfie won't start the donuts (that have a couple hours of rising to do) at midnight!! Needless to say, I was up really, really, really late that night, and didn't wanna get up the next morning. Elfie's donut breakfast also included hot chocolate with marshmallows. Yummy! And a special spot was set at the table, just for Riley. Riley thought breakfast was awesome. He wouldn't touch the big donuts (he said they had holes in them, haha) but he did enjoy a donut hole, he drank most of his hot chocolate, and ate lots of marshmallows.